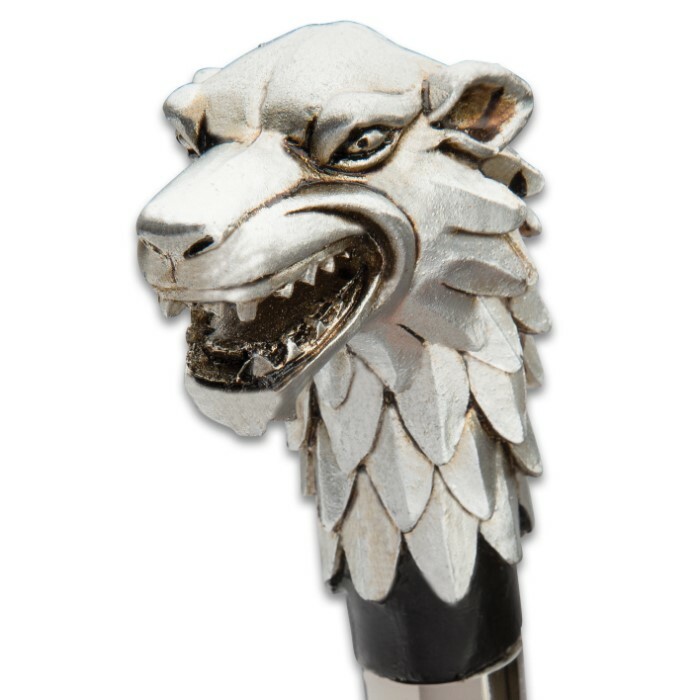 Our ferocious Antique Wolf Head Sword Cane looks like it belongs beneath the hand of an ancient Viking king. The head of the cane has been expertly crafted of cold cast resin to portray a majestic wolf with teeth bared. 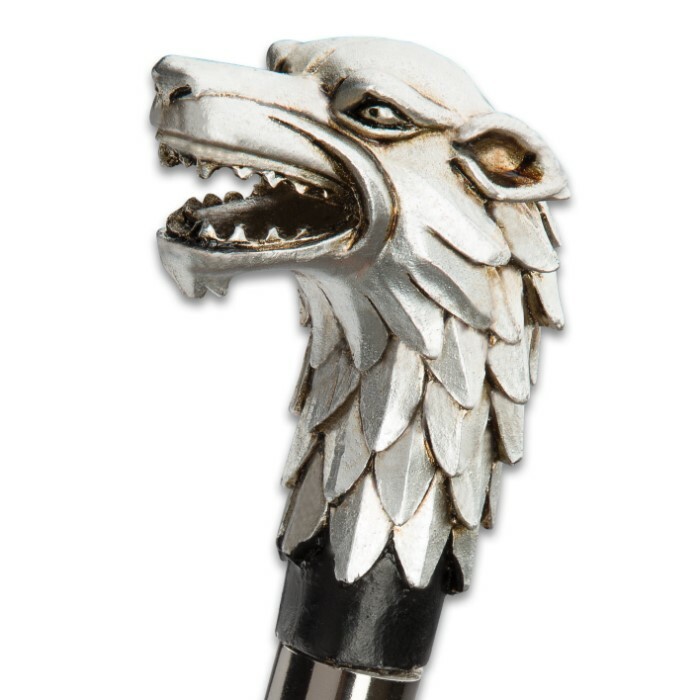 The intricate details and shading give the head the look of actual weather-aged silver. 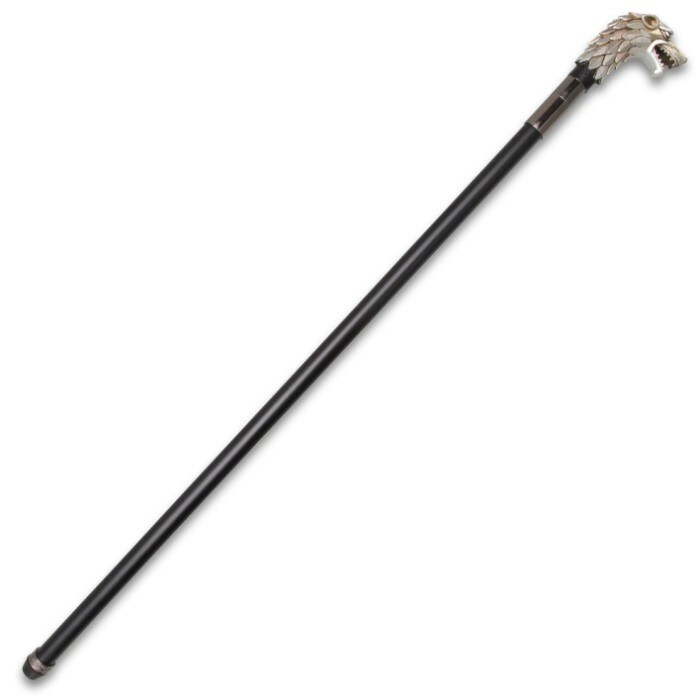 The cane has a 15 1/2” hidden blade that’s made of stainless steel and is accessed by unscrewing the handle from the shaft. 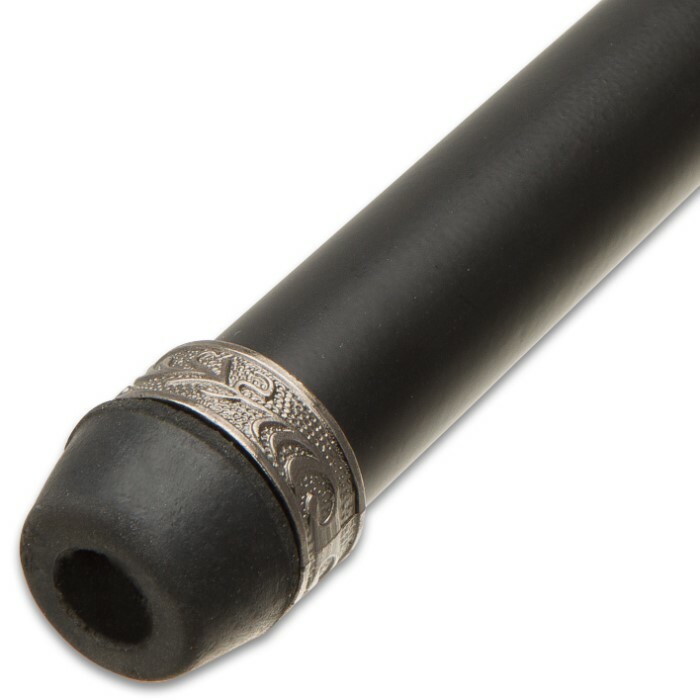 The lightweight, black aluminum shaft has a rubber foot for a slip-free grip when using it and metal alloy fixtures. 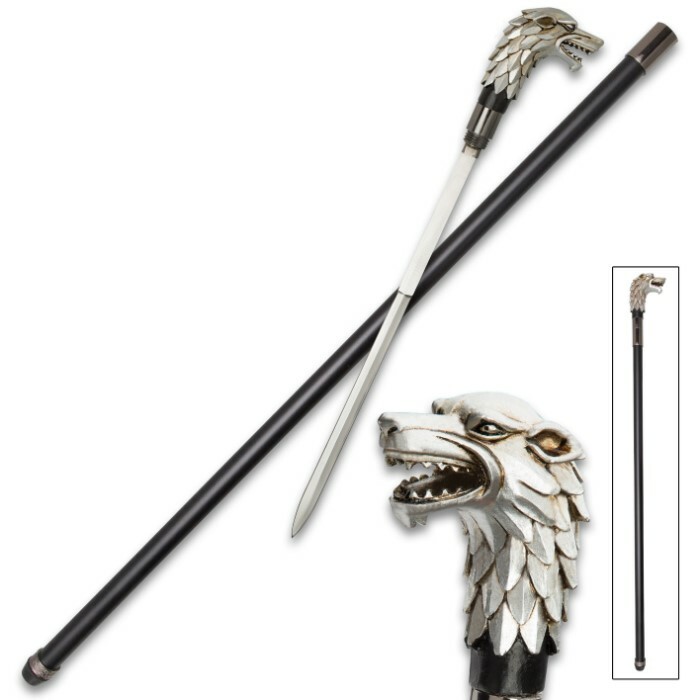 Received my cane. I was impressed. The head had a slight wobble, but fixed it with glue. 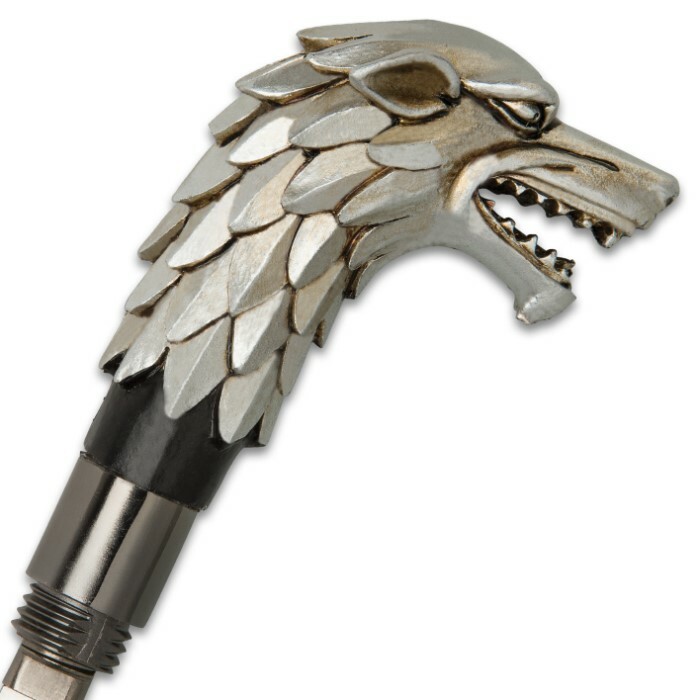 well pleased with the cane.